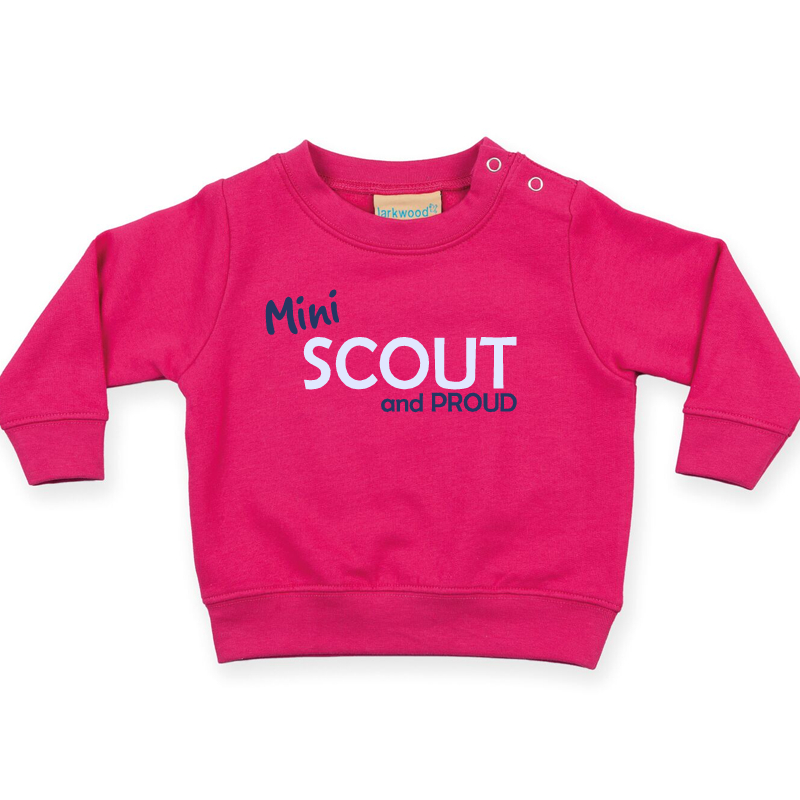 A crew neck sweatshirt printed with Mini Scout and Proud. 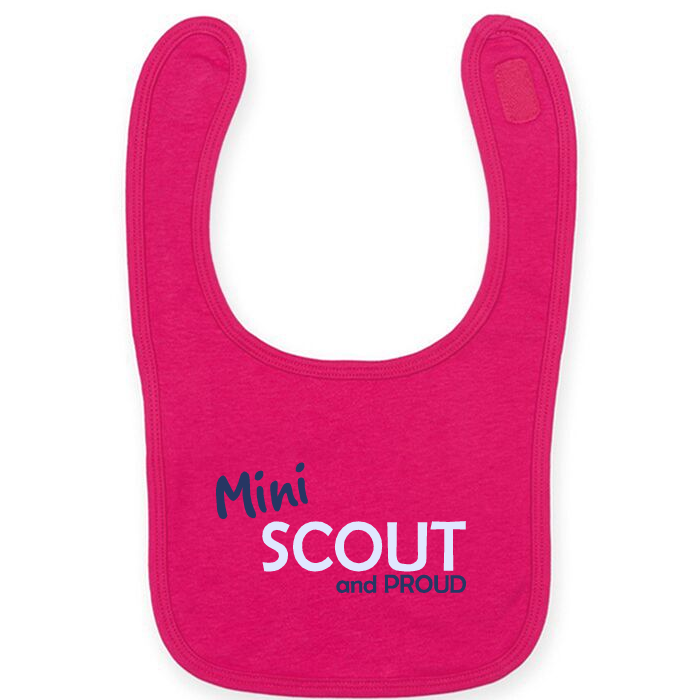 Available in age sizes 6-12 months - 3/4 years, please select from the dropdown menu. Features popper opening on shoulders, knitted rib at neck, cuff and hem. 80% Cotton, 20% Polyester, brushed back fleece.